Connecting the Internet to a tablet - probably, this is the first thing that every owner of a mobile device thinks about, just taking it in hand. Today, the Internet is needed not only for communication: for a long time, many programs, in addition to instant messengers and mail, and even some games require constant connection to the Internet. Choose the best internet for your tablet, you can based on the specific conditions in which you are going to use it. For example, for those who use the device only at home, and for people who are in active motion and constantly in touch, different connection options will be optimal. 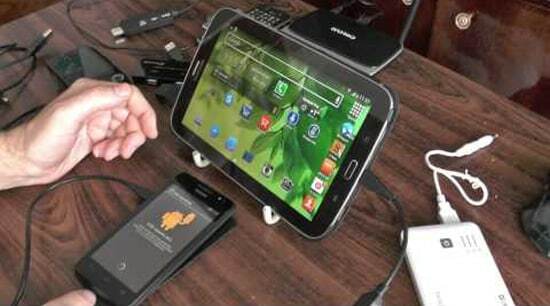 There are several ways to connect the tablet to the Internet. The choice will depend on the configuration of your device, the availability of additional equipment, and in some cases your geographic location. enter the security key if the network is encrypted. After that, your device will get access to the network, and you can use it both for communication and for watching videos, sharing photos, reading news and many other tasks. The same technology can be used in different public spaces: now many cafes, restaurants, educational or entertainment institutions organize free access for users and visitors. If you do not have a Wi-Fi router and the computer connects directly to the world wide web (via fiber, twisted pair, ADSL or 3G), you can use its Wi-Fi module as a router. To enable mobile devices to connect to the Internet via a computer, you need to create an access point on it using standard Windows operating systems (available in 7 and above) or using a third-party program. In Windows, you will need to go to the "Network and Sharing Center", select the item "Setting up a computer-to-computer wireless network" and then set the network parameters, following the system prompts. The second option will seem to many easier, since it does not require complex manipulations. It is enough to download and install a program (for example, “Connectify”), in its settings you can specify the type of encryption and the network security key. After that, you can connect mobile devices according to the scheme described in the previous paragraph. The 3G and LTE technologies are currently quite widely developed and can compete in speed with wired connections. Mobile Internet is a good way for those who think how to set up the Internet on a tablet if there is no permanent access to Wi-Fi. Almost all tablet models are now being equipped with radio modules for SIM cards for making calls, sending SMS and, of course, going online. Check the rates of your operator and connect suitable for you, taking into account the planned volume of traffic and / or time of use. Settings from the operator usually come automatically after installing the card, you just need to turn on data transfer in the tablet settings. If this does not happen, contact the operator and find out the parameters of the access point for manual configuration. Some users, having a device with two SIM-card slots, use one of them for calls, and the second “SIM” is placed only for the Internet - if the second operator offers a more favorable tariff than the first one. But how to connect the Internet to the tablet, if it does not provide for the installation of a SIM card? In this case, 3G-modem will help. 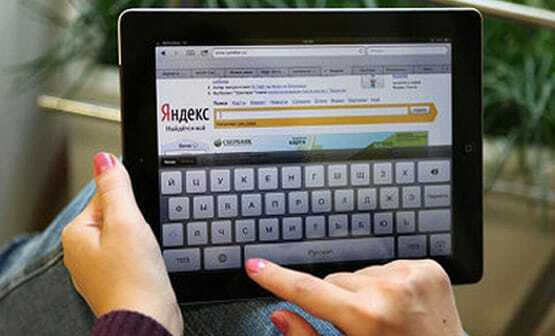 It allows you to establish an Internet connection on devices that are not equipped with slots for SIM cards: computers, laptops and tablets without a radio module. The 3G modem connects to the tablet via an OTG cable - a special short cable for connecting to third-party devices via USB. When connected, it will be recognized as a SIM card, that is, your further actions will be similar to the previous item: enable data transfer, and if the settings did not come automatically, then create and configure the connection point manually according to the operator. And the last way, in common with all of the above: an active Wi-Fi access point can be created on the smartphone. When receiving mobile Internet via the 3G network, most smartphones have the function of creating a Wi-Fi point, which is also called “Hotspot”. Turn on the “Hotspot” or “Modem Mode” function (the name depends on the device model) in the smartphone settings and start searching for Wi-Fi networks on your gadget. After finding the desired network, enter the security key (it will be visible on the smartphone when setting up the point) and connect. Once you figure out how to turn on the Internet on your mobile device, you can no longer ask this question: once the setup is done, it will be saved, and further connections will be made automatically. 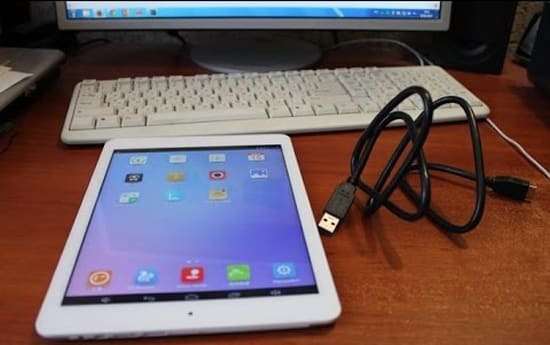 You just need to turn on the tablet and use the necessary programs and favorite games without restrictions.